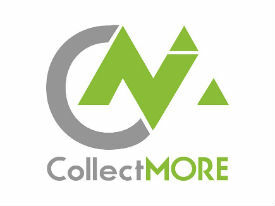 Collectmore Pty Ltd – Collectmore- We do! For quite some time, I had eagerly been reading Paul's tips for collecting unpaid monies (and preventing it from happening in the first place). One day, I decided to speak to him about a debt that had been owed to me by an exceptionally naughty client since last February. I'm so glad I did because Paul collected the money for me that I thought I was never going to see! Big shoutout to Paul Metcalf who is helping me recover some old debt - so helpful and accommodating and has great tips. Highly Recommend! Big shoutout to Paul for recovering money I thought was long gone. Within 24 hours, he had contacted the culprit of the overdue invoice and had an agreement to pay. Two days later, the funds were in my account! I am so over the moon. Unbelievable result, amazing service. If your business has people not paying you, this guy can help! Huge shout out to Paul Metcalf & his team at Collectmore. Being an accountant who is often asked by clients for debt collection solutions, I thought I'd give them a chance to prove their worth before I recommended them. And did they ever prove their worth. Well done Paul. Well done Collectmore team! This is a quick shout out to Paul Metcalf. I had an issue with a client owing money for a service that he verbally agreed to and physically engaged in, however was refusing to pay as he didn't receive a written quote. Not sure of my legal standing, I contacted Paul after seeing a post of his on this group. Firstly, he confirmed that the verbal agreement was binding, and then he drafted an email for me to send that was authoritative and demanding (with an underlying pleasant tone).